When the temperatures begin to drop and the wind becomes icy and chilling, there is truly no better feeling in the world than to come home to a crackling fire in your own living room. Not only does a beautiful fireplace command itself as the centrepiece of a home, it also provides comfort and warmth throughout the harsh winter seasons. Let the Fireplace Warehouse supply you with the most eye-catching, quality unit you could envision. The Legend Vantage 18” gas fire is a timeless model and makes a truly a striking piece for any household. The unit is available in a multitude of finishes including black, brushed stainless steel, or brass trims, allowing it to seamlessly complement the décor of any household. 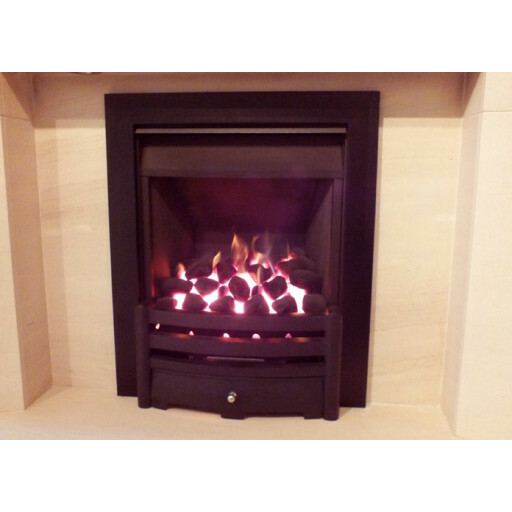 The Legend Vantage 18” Traditional gas fire, developed by Legend fired of Blackburn, Lancashire, is slightly oversized compared to a traditional 16” version. Not only will this fire stand out in a room, but it will also provide a remarkable 4.6kW of heat. The Legend Vantage is produced with only the highest quality materials, ensuring your purchase will bring you years of comfort and warmth. I finally found a fire that wasn't a standard 16" to fit in my existing fireplace.